SWEDESD is presenting the results from the first Swedish International Global Action Programme on Education for Sustainable Development conference held in Visby 2016. 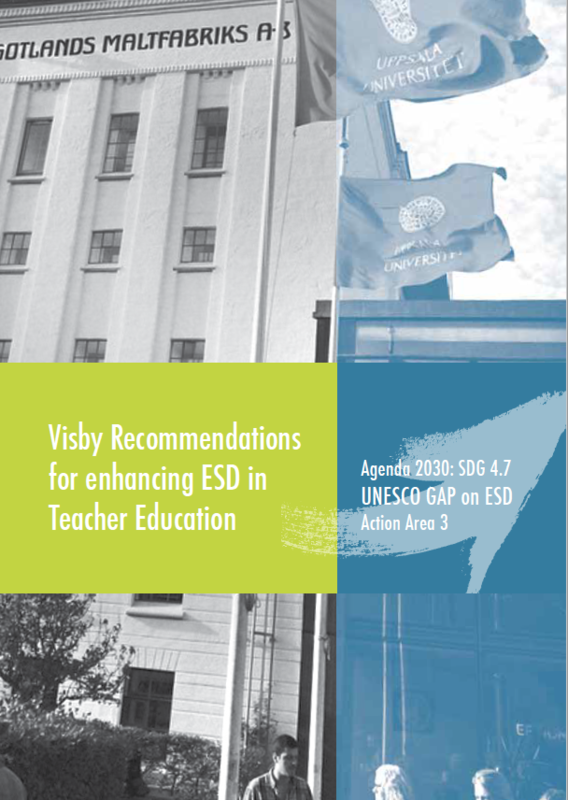 The report contains recommendations for reorienting teacher education and includes initiatives from around the globe. The conference ´Bridging the GAP – Educators and Trainers´ held on 21-24 August 2016 at Uppsala University – Campus Gotland brought together specialists in the field of Education for Sustainable Development (ESD) and teacher education. The focus was how teachers, trainers and teacher educators, through education and the development of the Sustainable Development Goal 4 'Quality Education', can advance Agenda 2030. At the conference participants addressed successes and challenges in scaling ESD in teacher education and training, and shared their opinions on how to develop and further research the field. - This conference was beyond our highest expectations. We had 126 participants from 47 countries who shared a variety of perspectives in enriching discussions and dialogues, says Eva Friman, director of SWEDESD at Uppsala University. To develop and implement ESD policies on different levels, support structures for implementation, as well as follow-up on such policies. To enhance professional development in ESD on all levels in the formal education system, along with the development of standards that include ESD in accreditation of teacher education programs and certification of teachers. To put focus on how the relevance, meaningfulness and quality of existing subjects can be enhanced through the inclusion of ESD in the curricula, rather than (or in addition to) separate ESD-courses. To highlight the quality of existing ESD teaching and learning materials, critical research about ESD, and the need for innovative research on methodologies to advance ESD. To increase the use of social media channels and online platforms to promote ESD. SWEDESD - Swedish International Centre of Education for Sustainable Development, is a research center at the Faculty of Social Sciences at Uppsala University. SWEDESD works for Agenda 2030 and within the UN Global Action Programme (GAP) on Education for Sustainable Development (ESD).